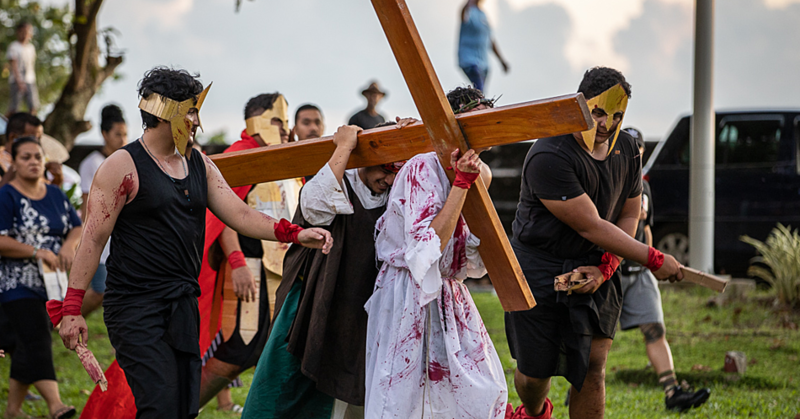 With much going on with the youth of Samoa; mucking around in town, ruthless child venders and fights breaking out on the streets every now and then, it’s not really easy to find the best answer to the problem. According to Sieni Talaifaga, from the village of Fusi, Saoluafata, the best answer to all the youth related issues is to bring them up the right way while they are young. 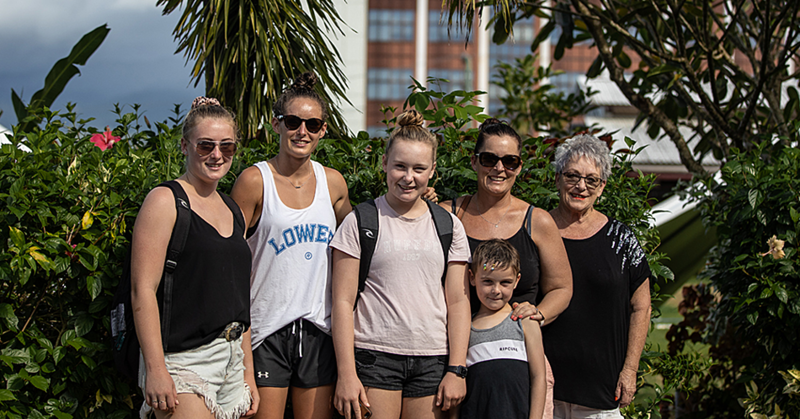 Aged 70, despite her old age, Sieni explains how she tries her best to keep healthy so that she still has the strength to set her children and grandchildren straight when the need arises. 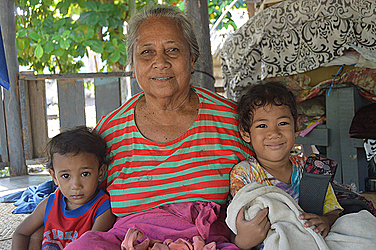 “The life in Samoa nowadays is not the same anymore,” she told the Village Voice. 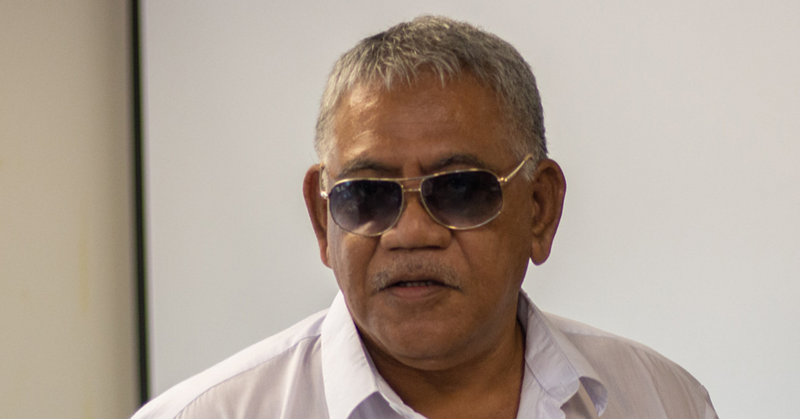 “There is no need to explain because we all know that a lot has changed in Samoa over the years. As for me, the big difference is that I am now an old lady. I am 70-years-old now and I am no longer the strong woman I used to be. “But that doesn’t stop me from moving around doing the chores and helping my children with all the chores at home. Sieni says it’s important for parents to both teach their children and also walk the talk with their own actions to show them what’s wrong and what’s right. “I always believe that as parents, we are there to not only give them advice, but also show them right from wrong,” she said. “And as an old lady, I can say that a lot has changed in terms of the youths behaviors. Compared to back in our days, we didn’t do most of the things that our youths are doing today. And with all the western influences grabbing hold of the young, Sieni says parents are meant to act as a shield against such negative practices. “Like I said before, I can see all the changes happening around our country,” she said. “One major change that we now have in our country is the introduction of all the technology and the influence from overseas. Furthermore, Sieni says that with newer technology popping up every week, one of the negative impacts is that it drives the youth to do crazy things at times. “One major problem that we face in Samoa is suicide,” she said. “A lot of young people these days think this is the answer to whatever they go through in life. But that’s not the right answer to their problems. I keep telling my children that God is the answer to all our problems. “We should always rely on him to show us and guide us to the right way. I mostly blame the parents for all these negative behaviors. “Children are our gifts from God, and parents should treasure and nurture them well. And if they fail to do their job, then our children will suffer. “If we show them the right way and keep on telling them off if they make a mistake, they will not end up in jail or the hospital.